I have modified my 3-White LED 3-AA cell flashlight by adding filament bulbs in series with the LED's to form a "ballast" utilizing the positive resistance-vs-temp characteristic of tungsten as a simple current source. I did this to increase the battery life (at the expense of initial brightness), and to increase the lifetime of the LED's. 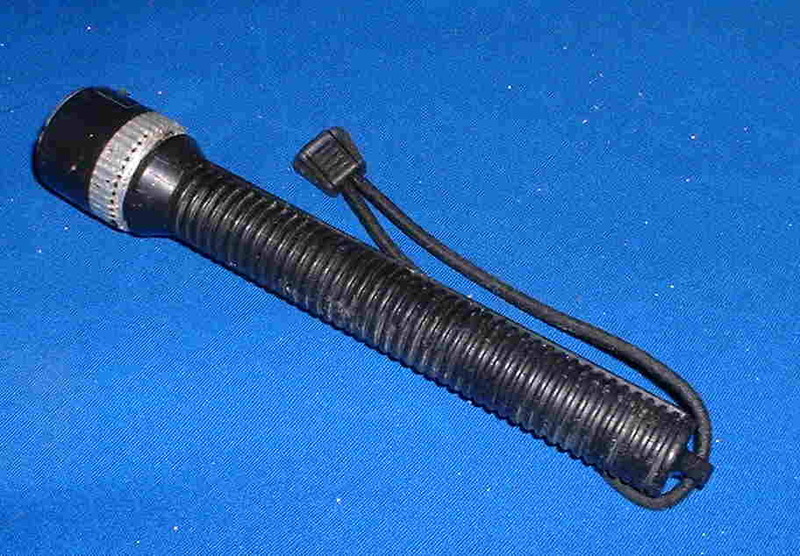 The flashlight, which was given to me, appears to be an early C. Crane unit. As in most of these simple lights, the 3 LED's are wired in parallel on a tiny circular PC board and connected directly to the 3 AA Alkaline cells. The light originally drew ~120mA with fresh batteries, which is 40mA/LED. I lifted the positive LED leads and tied them together. 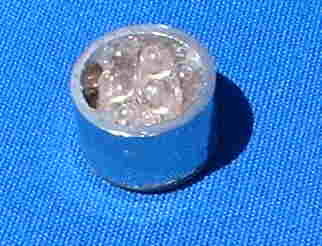 The negative leads remained on the board for heat sinking. I wired three 1.5V 25mA mini-lamps with pigtail leads (US Radio Shack 272-1139) in parallel and connected them between the positive LED leads and the center contact on the board. There may be a 1.5V 75mA lamp available, but the 25mA units were "off the shelf". The schematic shows this arrangement as well as the possibly better arrangement of one lamp- one LED. The bulbs are far better at current regulation than fixed resistors. The table below gives current drain vs applied voltage for this module. The maxium initial battery voltage for new cells with no load is 4.65V. 5.2V is the supply voltage that puts the maximum 1.5V on the bulbs. At the lower voltages, the bulbs are essentally a short circuit with little loss just like the original unregulated flashlight. The plastic lens of the assembled flashlight is wrapped with electrical tape to prevent any trace of side-light. There is enough light for camp use, reading, or emergency travel. This light should run continuously for more than 2 days on a set of 3 AA alkalines, and the LED's should outlast the flashlight.